Styled to sit next to Apple products, the G-Drive Slim SSD delivers internal SATA-like performance over USB. Being huge fans of fast USB 3.0 SSDs, it’s a given that we’d like a faster USB 3.1 model such as the G-Technology G-Drive Slim SSD even more. We do. We’re also guessing that Mac users will like the drive—its thin, 0.4-inch profile and aluminum/Space Gray styling make it look very much at home next to any Apple product. This picture actually makes the G-Drive Slim look thicker than it appears in person. At $380 (1TB) and $230 (512GB), you won’t find the G-Drive Slim SSD hanging about the bargain bin. However, 38 cents per gigabyte is reasonable considering that the USB 3.0 Samsung T3 is 35 cents per gigabyte, and internal SATA SSDs still run around 25 cents. External USB hard drives? Around 5 to 6 cents. So why pay six times the price for an external SSD? Most obviously, performance—which is at least three-fold faster. But there are other factors: No moving parts means SSDs are less susceptible to damage from dropping or banging, and there’s the silent operation. Yes, real quiet. Working in a city, that’s not something we worry about a lot. But we’ve occasionally heard from readers who live somewhere quieter, and find the sound of external hard drives distracting. 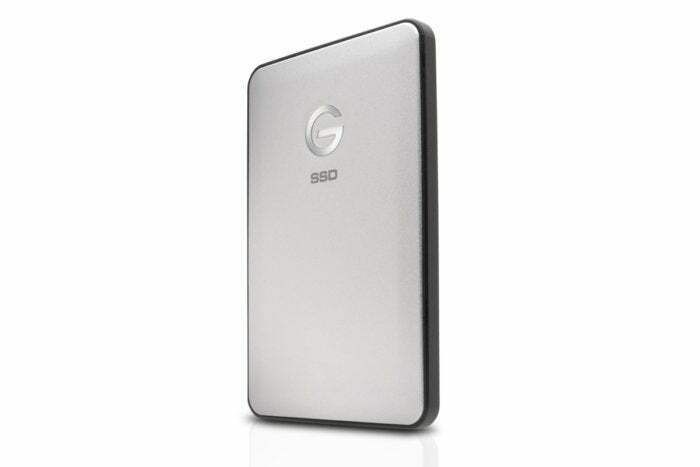 What’s more, the G-Drive Slim SSD is warrantied for three years. That’s at least a year longer than for most USB hard drives, albeit standard for an SSD. Unusually, G-Technology doesn’t provide a TBW (terabytes written) rating for the G-Drive Slim SSD. Most SSDs are rated to cover around 10 years of normal usage. The G-Drive Slim SSD’s performance is simply excellent—on par with the average internal SATA SSD when used via the USB 3.1 bus. 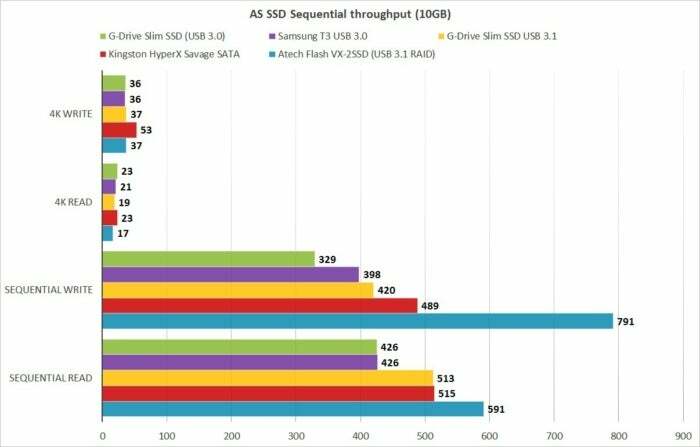 The Slim SSD clocked right around 510MBps reading and 420MBps writing in both CrystalDiskMark and AS SSD. 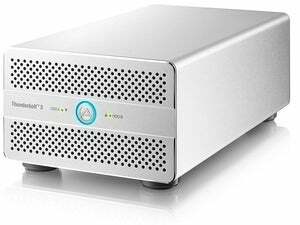 The G-Drive Slim holds its own against the internal SATA drive using USB 3.1, and it’s still a very good performer with USB 3.0. The Atech uses two SSDs in a striped array and shows the potential of USB 3.1. In our real-world copy tests, the Slim wrote a single large 20GB file in 63 seconds (317MBps) and read it in only 43 seconds (465MBps). 20GB worth of smaller files and folders wrote in 117 seconds (170MBps) and read in 97 seconds (206MBps). That’s a typical drop-off for that test. As you can see in the chart above, you don’t lose a ton of performance when you plug the G-Drive Slim SSD into a USB 3.0 port (G-Technology includes cables for both). There’s a drop of about 90MBps both reading and writing. That does, however, make it about 70MBps slower than the smaller, cheaper Samsung T3 when writing. If you’re still living in a PC/USB 3.0 world, the Samsung drive might make more sense. 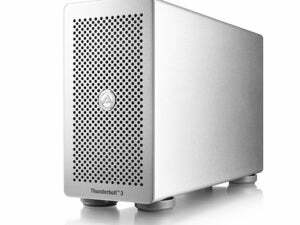 But if you’re rocking a recent-vintage Apple or a PC with 3.1, the G-Drive is your ticket. 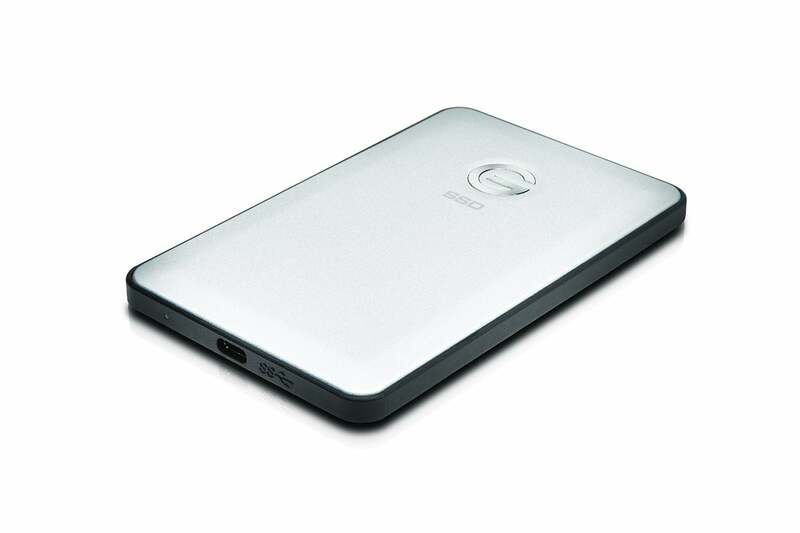 Like OCZ and Toshiba, G-Technology is a boutique brand that’s now owned by a large company—Western Digital, or WD. Toshiba has hurt OCZ’s reputation as a high-quality performance vendor, but we’re hoping that WD is smarter and only lowers the prices, not the design standards. Not that WD doesn’t make some good-looking external hard drives... But as we said, G-Techonolgy products appeal to Mac users because they particularly look the part. Aesthetics aside, the G-Drive Slim’s incredible speed should make this external drive appealing to any user. Though not nearly as tiny as Samsung's T1 or T3, the G-Drive Slim can perform considerably faster thanks to a 10 gigabit USB 3.1 interface.